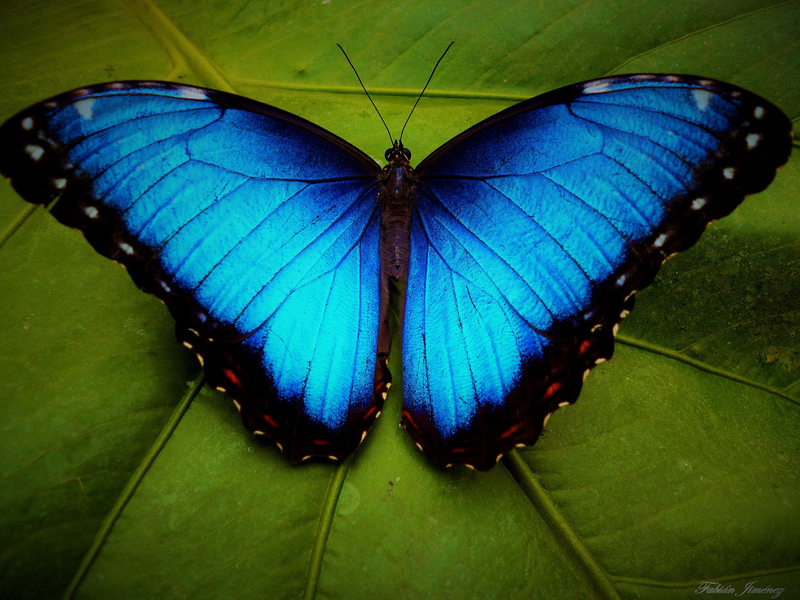 Today I want to write about a very colourful butterfly, the blue morpho butterfly. These beautiful butterflies are one of the largest in the world, with a wingspan of up to 20 cm. The top of their wings is bright blue and the bottom is dull brown. This helps them to hide when they sitting down or confuse predators with the bright flashing when they are flying. They drink the juices from rotting fruit by unrolling their long proboscis and sucking it up like a straw. The entire life cycle of a blue morpho butterfly from egg to adult to death is just 115 days. Blue morpho butterflies live in large groups and can be found in the rainforests of South America, central America and Mexico. Are there any other interesting facts that you would like to share about blue morpho butterflies? I Love your facts but there are a little facts i wont some thing big. why don’t you put down facts about the habitat an diet but there is loads more facts! Are these blue butterflies those that were once hunted to make jewellery?